This fund was established recently in 2014 by Janet Greenwald to support a wide variety of charitable causes. Charles Kent “Chuck” Greenwald and Janet (Rearick) Greenwald married on February 16, 1957. Chuck served in the United States Army from 1952-1955, 7th Army Headquarters, in Stuttgart, Germany. He returned to Gary and Michigan City to work in the mortgage loan business, and real estate sales and development. In the big snowstorm of 1967 he joined IBM as a real estate administrator, and subsequently became manager of Real Estate Administration in the Midwest. In 1986, Chuck worked as Corporate Real Estate Director at Kraft, Inc. and Premark International Inc. until retirement and consulting work in 1992. He was involved in politics in his younger years, serving as Gary Republican city chair and on the Michiana Shores town council member in the mid 60s. He was an avid University of Michigan football fan and proud that his father had recruited Tom Harmon to play for the U of M.
Chuck passed away at age 83 in 2012 after a battle with lung cancer. He had an offbeat sense of humor and is dearly missed by those who knew him. Janet (Rearick) Greenwald graduated from William A. Wirt High School in Gary, Indiana, valedictorian, class of 1953, and graduated from the University of Michigan in 1957. She often spoke fondly of her experience as co-editor of the Michigan Daily. After university, Janet worked as a magazine editor at Industrial Research. On February 16, 1957, Janet married Charles Kent “Chuck” Greenwald. She worked many years as a Realtor with Long Beach Real Estate and Douglas Elliman (New York) and obtained continuing education units up to this past year. Janet recently received a proclamation from the League of Women Voters recognizing her long service to the League and the Lake Michigan Interleague. She devoted particular attention to Great Lakes conservation and most recently to the role of townships in the state government. From her teen years, Janet enthusiastically pursued sailing, racing her J-24 Capital Gains and exploring the North Channel with friends. Janet Greenwald passed away on October 20, 2014. 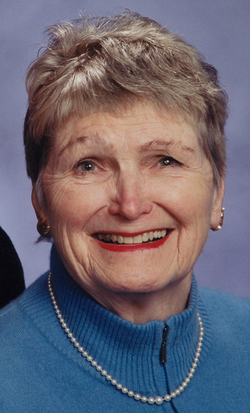 Janet had a great many interests and the Charles K. and Janet Greenwald Family Fund will continue to give back to the community in her memory.